Members of the Harvard Medical School community have also excelled in the research arena. Faculty members have been making paradigm-shifting discoveries and achieving “firsts” since 1799, when HMS Professor Benjamin Waterhouse introduced the smallpox vaccine to the United States. Their accomplishments are recognized internationally, and, in fact, 15 researchers have shared in nine Nobel prizes for work completed while at the School. The Faculty of Medicine includes more than 11,000 individuals working to advance the boundaries of knowledge in labs, classrooms and clinics. The School’s main quadrangle in Boston houses nearly 200 tenured and tenure-track faculty members in basic and social science departments as well as in classrooms where students spend their first two years of medical school. But teaching and research extend beyond the Quad. Harvard Medical School has affiliation agreements with 15 of the world’s most prestigious hospitals and research institutes, vital partners that provide clinical care and training. They also serve as home base for more than 10,000 physicians and scientists with faculty appointments. 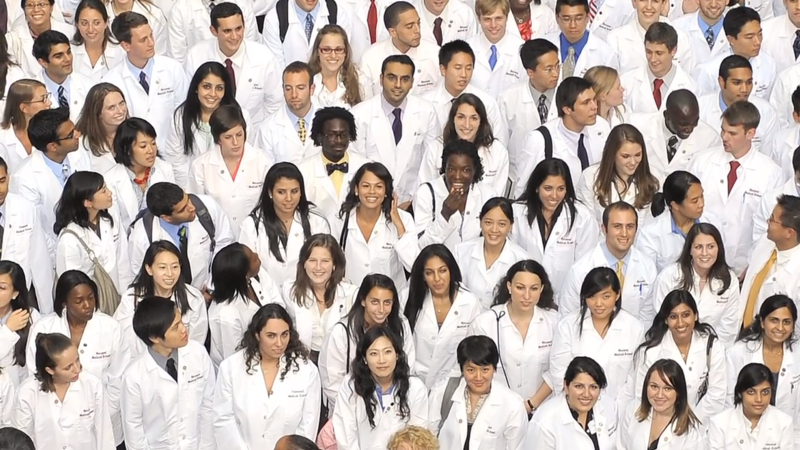 With its vast reservoir of talent, extensive network of affiliates and commitment to problem solving, Harvard Medical School is uniquely positioned to steer education and research in directions that will benefit local, national and global communities.